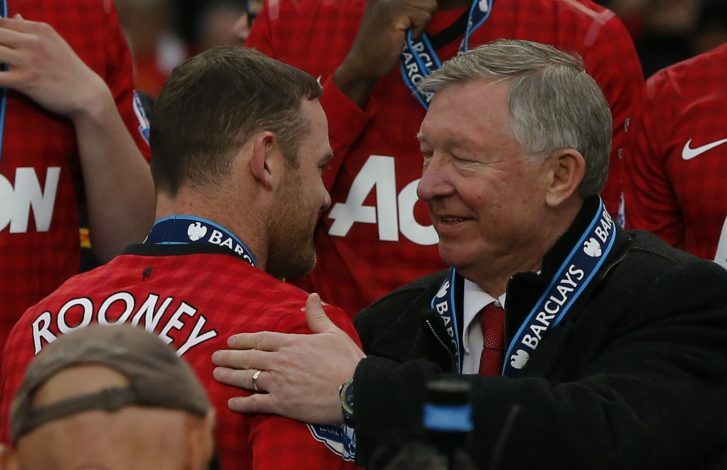 Wayne Rooney has revealed the one thing Louis van Gaal was better at than Sir Alex Ferguson. Since his arrival at Manchester United in 2004, Wayne Rooney spent his Old Trafford career under the management of four different tacticians. While he played for Sir Alex Ferguson for the longest, the decorated forward’s latter years were spent under the likes of David Moyes, Louis van Gaal, and Jose Mourinho. It was under the Portuguese that Rooney departed from Manchester, securing a move to MLS outfit DC United. Now impressing one and all in the United States of America, the decorated Englishman has looked back at the time he spent in the Premier League. Rooney spoke about his former managers in a recent interview with TalkSPORT, and made an interesting revelation that might shock a majority of the Manchester United fan-base. Comparing the tactical brilliance of Van Gaal with that of Sir Alex and Mourinho, the former England captain opined (via M.E.N. ): “He (Van Gaal) was tactically the best I have worked with – in terms of setting you up in a shape defensively and everyone knowing their roles. The 33-year-old then went on to speak about David Moyes, explaining his take on why the Scot’s tenure at the Theatre of Dreams ended in failure. “I think Moyes was a bit of a surprise choice but his record at Everton over ten years was great,” Wazza added. “He got them into the Champions League, finished in the top half almost every year and did a fantastic job.